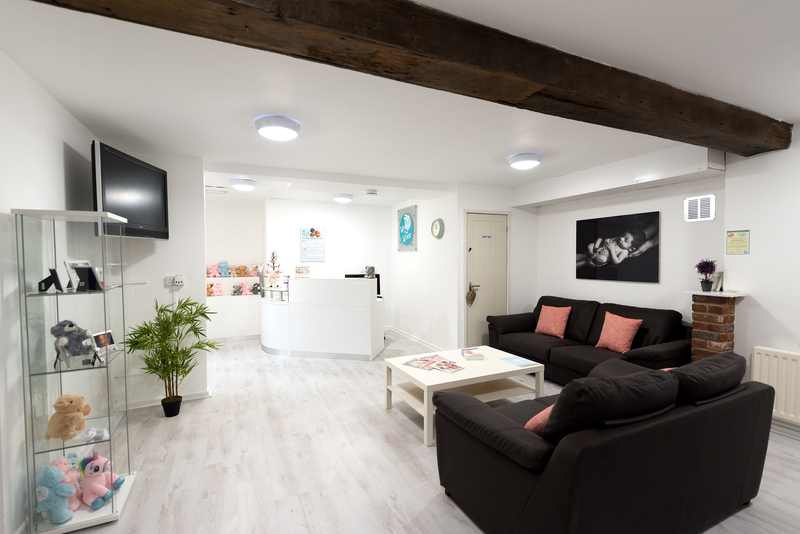 Are you visiting our clinic for an early pregnancy scan? Here we answer common questions that we’re asked, so you can be well informed about what to expect at your appointment. When can I visit for an Early Scan? We offer our early pregnancy scans from 6 weeks at our firstScan clinics, which are operated within our Window to the Womb establishments. For the privacy of our ladies, we do not mix our firstScan sessions with ladies coming for scans such as gender or 4D. We have a range of packages to suit all ladies, including viability, dating, reassurance, previous miscarriage and IVF. At 6 weeks, baby is only around 4mm so is very small. You’ll see a pregnancy sac, a yolk sac (which provides baby with all the nutrients they need until the placenta takes over, around week 10) and baby’s heartbeat. We well either base it on your LMP (last menstrual period). If you’re unsure of your dates, we can still offer you a scan; we will book you in from 2 weeks after your first positive pregnancy test. This ensures you’re at least 6 weeks. If you’re feeling very anxious, we would recommend trying to wait until nearer the 7 week mark. This is just incase there’s a slight discrepancy with your dates. Baby has doubled in size to 8mm by week 7, so you may leave us feeling more reassured than at 6 weeks, due to how clear we can see baby. Will the scan be internal? Because this is an early pregnancy scan, our sonographer will initially scan you abdominally but then may need to scan you internally to get the best view of your baby. Internal scans offer much more accurate results and are offered to ladies under 10 weeks. You may decline an internal scan if you wish by just telling your sonographer. Will the scan hurt my baby? The scan will not hurt your baby. From the very early weeks of pregnancy, your baby is surrounded by fluid which protects them, so with either an abdominal or an internal probe, the probe will not touch your baby. We recommend arriving at the clinic between 10 – 15 minutes before your appointment. You will be asked to complete a short pre-scan questionnaire, which just asks for a little more information about you. Details we will ask for include which GP you’re registered to, your NHS number, details of any previous pregnancies and the reason for your visit to our clinic. This ensures our sonographer and the team are completely knowledgeable about you. do not listen to the heartbeat as it wouldn’t be safe for baby, but we will show you the heartbeat flickering on our screens. Once the heartbeat is confirmed, the sonographer will check the pelvic area and ovaries to make sure the area around baby is healthy. If you’re experiencing any worrying symptoms, our sonographer will be able to confirm the reasons why during this part of the scan. Once the pelvic assessment is complete, the sonographer will return to your baby and measure their length from crown to rump (head to tail) to provide you with accurate dating. Once all your questions have been answered, you will be guided back to our waiting room. You will be provided with a full medical report complete with your diagnostic results and a photo print of your baby. Should you require any ongoing care following your scan with us, we have relationships with local NHS hospitals. We will contact the hospital for you and make all arrangements, to ensure you receive optimum care going forwards. Our early pregnancy scans are available from 6 weeks to 15 weeks + 6 days and retail at £79.00. Your nearest clinic may have offers running so be sure to visit their page on firstScan website.